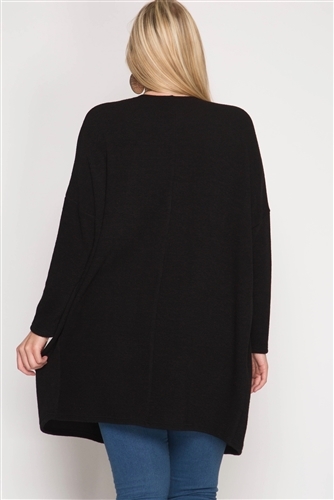 Black long sleeve cardigan with front pockets. Knit top. Composition: 75% cotton, 25% rayon.